Dr. Lisanby is Chief of the Columbia Brain Stimulation and Therapeutic Modulation Division and Professor of Clinical Psychiatry. This Division focuses on the use of emerging electromagnetic means of modulating brain function to study and treat psychiatric disorders. These techniques include transcranial magnetic stimulation (TMS), vagus nerve stimulation (VNS), magnetic seizure therapy (MST), deep brain stimulation (DBS), transcranial direct current stimulation (tDCS), and electroconvulsive therapy (ECT). Dr. Lisanby has authored or coauthored over 150 articles, abstracts, chapters, books, reviews and editorials concerning TMS, ECT, depression, and related topics. Her articles are published in prestigious scientific journals such as New England Journal of Medicine, Archives of General Psychiatry, Clinical Neurophysiology, Neuropsychopharmacology, and Biological Psychiatry. She is principal investigator on grants from NIMH and research grants from the Stanley Foundation, the American Federation for Aging Research, and the National Alliance for Research in Schizophrenia and Depression (NARSAD) to develop MST as an alternative treatment to ECT for major depression. 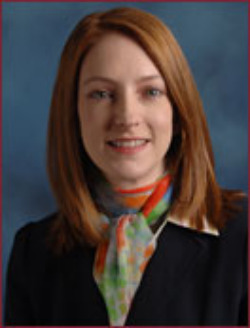 Dr. Lisanby is the Chairperson of the American Psychiatric Association Task Force on ECT, the President of the International Society for Transcranial Stimulation, past President and Fellow of the Association for Convulsive Therapy, and a Member of the American College of Neuropsychopharmacology, among others. Dr. Lisanby is the recipient of over 35 honors and awards, including the Gerald L. Klerman Award presented by the National Alliance for Research in Schizophrenia and Depression, and the Max Hamilton Memorial Prize of the Collegium Internationale Neuro-Psychopharmacologicum (CINP).